Dismissing Apple's attempted injunctions, a Duesseldorf court has cleared the modified Samsung Galaxy Tab 10.1N for sale in Germany. The decision comes after several rulings against Samsung in a series of bitter patent suits. Apple succeeded in blocking the original Galaxy Tab 10.1 in September along with the smaller Galaxy Tab 8.9 in January. It was determined both resembled the iPad too closely. Hoping to dodge the injunctions in November, Samsung prepared a tweaked version of its tablet called the Galaxy Tab 10.1N with a more pronounced metallic rim, relocated speakers as well as other minor adjustments to change the look and feel of its device. Unsatisfied with the changes, Apple quickly responded by filing additional injunctions to ban the updated device. That demand was rejected today. "The court has denied Apple's request for a preliminary injunction and the Galaxy Tab 10.1N remains available to consumers in Germany. Samsung will continue to take all appropriate measures, including legal action, to ensure continued consumer access to our innovative products," Samsung said. Despite its enthusiasm, today's ruling only blocks a preliminary injunction and the 10.1N could be banned later. "It's important to understand that today's decision is merely the denial of a preliminary injunction. 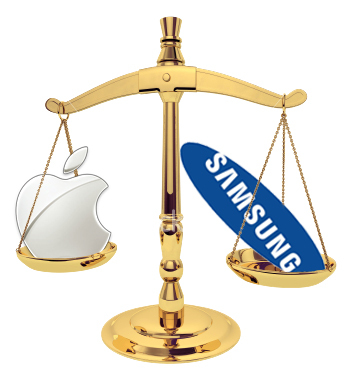 In parallel to all those efforts to have different Samsung tablets banned as a result of fast-track proceedings, Apple continues to assert four different design-related rights against ten Samsung smartphones and five Samsung tablets," writes Florian Mueller of FOSS Patents, a mobile patent blog. Mueller also notes that today's ruling could prove useful for Motorola, which is in a similar quarrel with Apple over the Xoom.